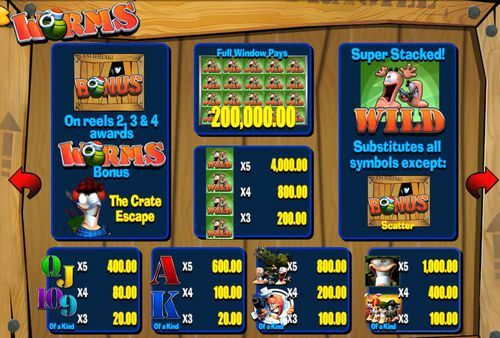 Worms slots is a 50 payline game spread across five reels and four rows. It is a fast-paced and entertaining adventure of worm soldiers that are armed to the teeth and ready to bust open the bank's vault. The 50 paylines are the staging ground for the five reels and four rows that are visited upon by bonus symbols, as well as some high paying symbols of up to 1000x for five. 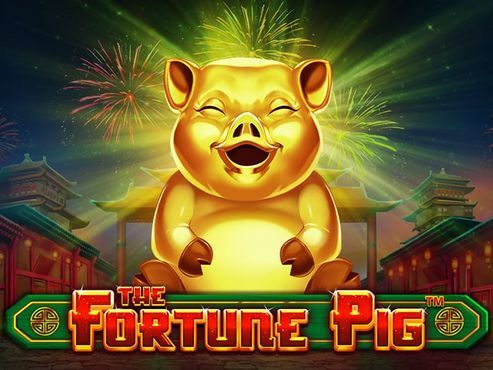 The game has exploding symbols, a pick-me bonus game, a Worms free spins bonus and few other bonuses that give an edge to a slot game that has already proven its worth. 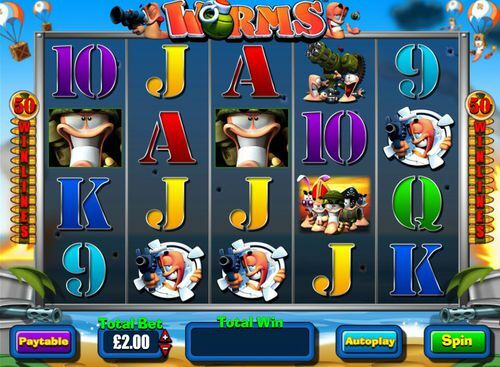 Worms slots is a 50 payline game spread across five reels and four rows. The plotline of this slot revolves around worms, well obviously, but these worms aren’t ordinary. These are quirky, armed worms on a mission to open a bank’s vault. Although the premise seems a bit ludicrous, the Worms slots is actually based on a rather old "battleship" type of computer game of the same name. In the original game you are in control of a platoon of worms whose mission is to destroy the opposing platoon. They use an arsenal of more or less destructive weapons and trickery. The Worms slot symbols echo the original game’s inventory of weapons, characters and events, while the sounds are all in place to create a wacky military environment. The game is quite wacky too, in terms of sound and visual effects and the gameplay is quite engaging too. 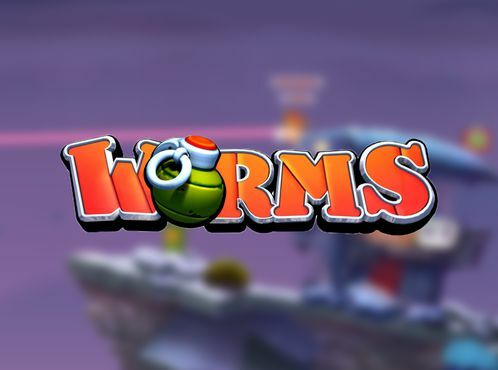 If you’re a fan of funny looking games, you will probably agree that Blueprint Gaming did a good job with Worms slot, the game is quite funny. 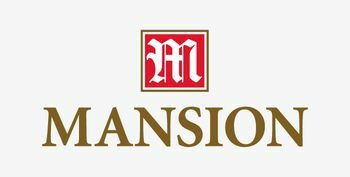 On the other hand, if you get lucky during any of the spins that you play, the prizes can be pretty significant, depending on how much you’ve wagered, and the RTP percentage is alright – 95.24%. The design is outright colourful. A medley of colours and funny-looking symbols make up the face of the game. 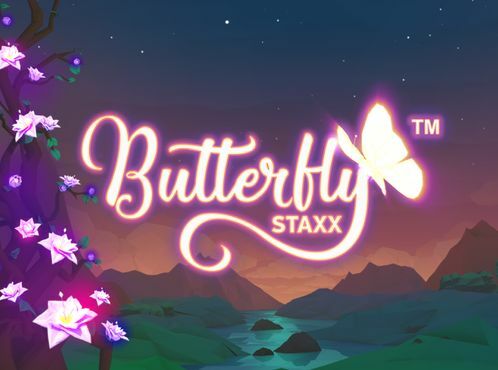 We have to admit that Blueprint Gaming did a pretty good job with this slot and this is truly one of their most remarkable titles. Once the game loads you are taken to the main game window and this is where the action takes place. The control panel below it is where you can set the amount you’d like to wager, see the paytable and set the slot on Autospin if you like to set the reels to spin automatically. The game is easy to set up. 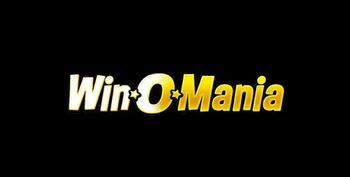 Select the amount you’d like to wager and spin the reels. 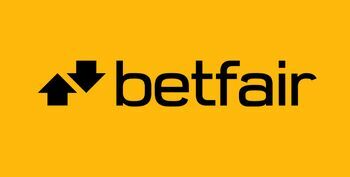 The bet amount can range from a total of 50p up to £200. Since this is a fixed payline slot machine you don’t have the option to decrease the number of active paylines. 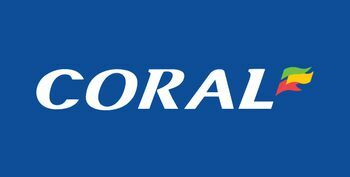 To score a winning you need to get three like symbols across a payline. As was mentioned before, the symbols are worms in various roles - an army general, a band of worm generals, worms manning a heavy weapon, a worm in a crosshair holding an Uzi, and so on. In addition to the omnipresent worms which really dominate the screen, you will also see standard card symbols, ones you can see on the reels of most other slots. The Wild card symbol is an ecstatic worm with his hands thrown up and the scatter symbol is a crate that has ‘Bonus’ written across. You will need a minimum of three instances of the same symbol across an active payline, arranged from the leftmost towards the rightmost reel to get a winning combination. The payout depends on the symbol in question and the wagered amount. The minimum that you could win in Worms slot is 20 coins, whereas the maximum coin amount is 200,000, but that’s the reward for a full window of wild symbols. Like most other slots Worms slot give free spins and this occurs when you land three bonus crates in reels 2, 3 and 4. 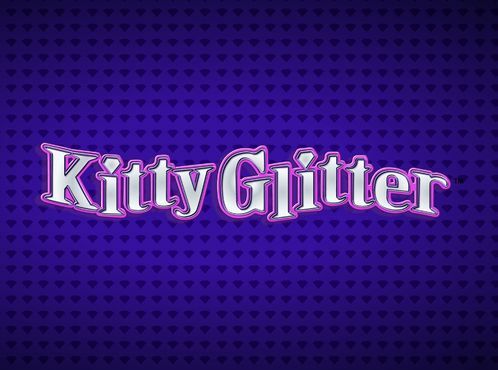 There is an extra feature during the free spins and it is called Free Spins Battle. In it whenever you get one or more extra Worms slot symbols on the middle reel you get various prizes: a sergeant major awards you with cash prize; a worm medic improves your health and there is a small adverse effect when the out of place pirate worm appears. During this mod you are in the role of the Scots worm, dressed in full Highlander gear and his objective is to stay in the game as long as possible by revealing the health-giving symbol. During the Worms Bonus you pick a crate to reveal a bonus symbol that gives you a prize. A worm holding a pistol gives you a Free Spins Battle and in the event you can get additional free spins. In fact, there is no limit on the number of times this feature can be retriggered. The cosmonaut worm starts the Space Trail Bonus where you can win up to 1,000 coins. And there is a Scotsman worm in a blue kilt who starts the Crate Escape Bonus where you can win up to 100x your wager. Sergeant Major awards Cash Prize. The Space Trail Bonus is another bonus mode that might remind you of the board game "Sorry". The mission for Cosmo Worm is to advance through a number of planets and get your winnings multiplied. The maximum multiplier is 1,000. Along the way you select toolboxes that reveal pickup locations. There are two more symbols here - the "Advance" symbol allows you to move along planets and gain a bigger bonus prize. When you reveal a bubbly warhead, a strike is unleashed; if you avoid it (up to the slot) you will continue but if you get hit the bonus feature is over. There are more hidden winnings in Worms. If you get a stack of eight wild cards across two reels a donkey appears on the screen and you get a bonus. Even though the likelihood of this to happen is pretty low, we still have to say that the maximum amount that a player can win Worms slot is £250,000. 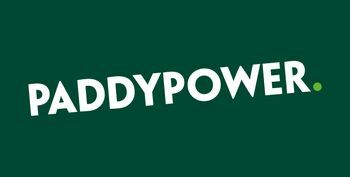 If you increase your stake to the maximum and you’re lucky enough to get wild symbols on all reels, the prize would amount to £250K. If you like the original Worms video game, and you’ve enjoyed playing Worms Reloaded free online, you might like Worms slot. 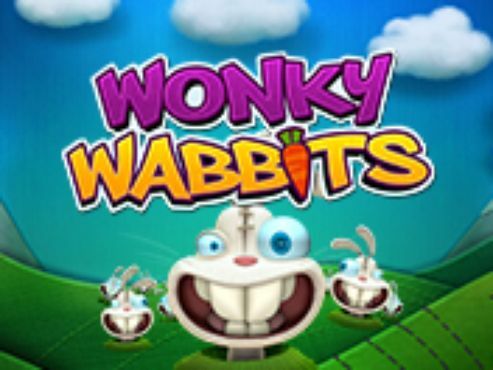 This game is offered by plenty of the casinos featured here on SlotsWise, in fact, some of them might even offer a Worms slots no deposit bonus, you would want to check that. 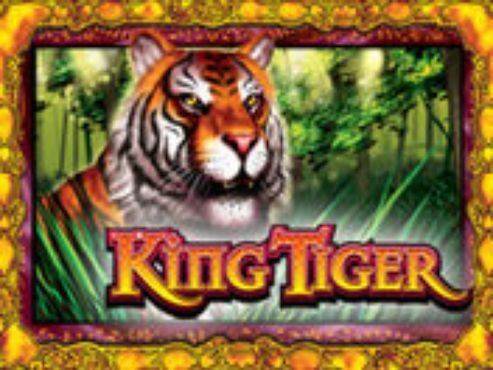 The casinos that are featured on our site offer a large variety of online slots, as well as other casino games, so you might want to check them out, especially some of the most popular online slots, such as Secrets of the Phoenix, Centurion, Fishin' Frenzy and other games. 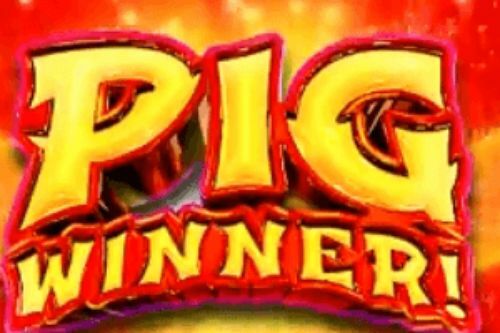 Another option is to test Worms free play, and then once you’re done with that and you decide that you actually want to play Worms with real money, then select one of our casino bonuses and you can play Worms and some of the other games featured on the site.